Sunn O))) are meant to be heard. With more than 35 amps on stage, the legendary drone metal unit returned to Canada for the first time in a decade for a show no attendee could possibly forget. Combining Attila Csihar's guttural Gregorian chants with a formless onslaught of guitars, Sunn O))) transcended the idea of musical performance with a show that was more Satanic ritual than typical concert. The sound was simultaneously secondary and inescapably focal. Musically, the droning was too loud to identify individual elements within beyond strumming or a brief increase or decrease in pulse oscillation, but the sheer noise proved the hypnotic, terrifying centre of attention. Sunn O))) crafts a physically punishing show that taxes not only the eardrums but one's entire being. Floor-rattling bass served to create a full-body vibration, while the heaps of dry ice blowing smoke into the audience also confounded. These choices were alienating by design: Sunn O))) are not an easy listen, they perform to punish and to test the extremes of human willpower. 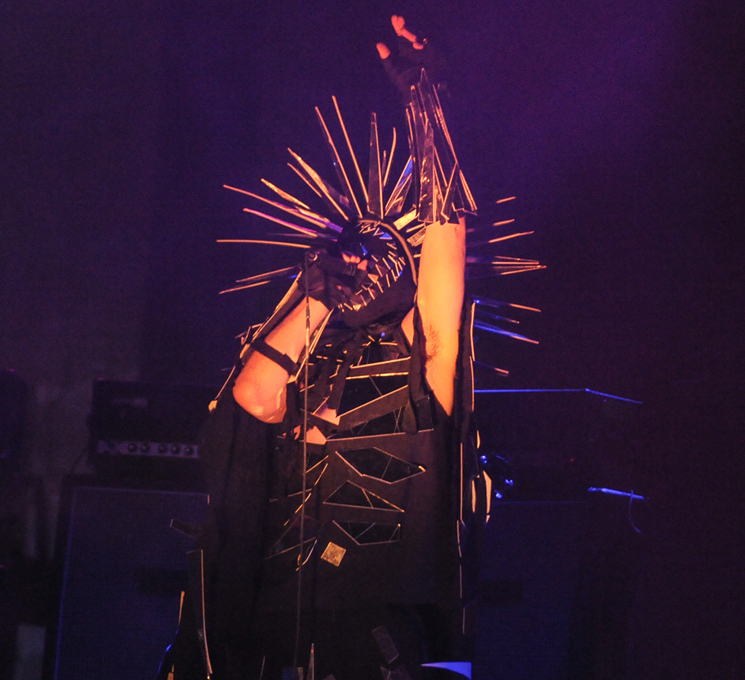 Many left during the 90-minute set, but those who survived were rewarded by Csihar's late-set costume change into what looked like the love child between a disco ball and a Michael Bay-era Decepticon wearing a crown of spikes. He twisted, writhed and growled and his bandmates raised their arms into the air as if to summon Beelzebub himself from the underworld, creating an atmosphere of extremes that few artists dare to venture. The moment the show ended, the quartet smiled and saluted the audience, a reminder that beneath the cloaks, spikes and sound lies four dudes who just want to make the weird music they like, and their endless appreciation for those who like it too.